Our Quality Assurance Performance Improvement digital resource library for Skilled Nursing Facilities, is a place where SNFQAPI users share information. It is an informal collection of QAPI related forms, excel spreadsheets, word documents, powerpoint presentations, literary and artistic materials, books, periodicals, newspapers, CDs, and videos uploaded to the site by health care professionals. Sign up today to access and share content. SNFQAPI respects copyright holders and complies with all copyright laws including the Digital Millennium Copyright Act (DMCA). When we receive proper notice that inclusion of material in our library has infringed on a copyright, we will take immediate action by removing that item from the library. We use Copyscape to scan for copyright infringement. If material submitted appears to infringe on a copyright, we may reject it and refuse to include it. The library is available for user convenience only. 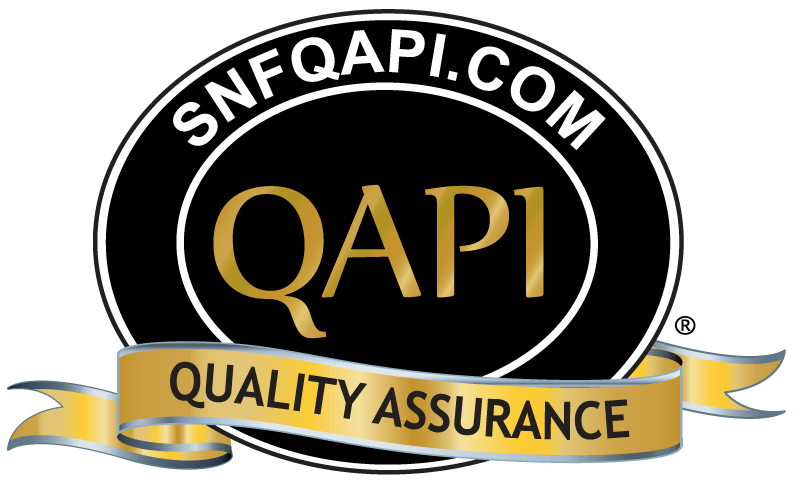 SNFQAPI makes no recommendation or guarantee as to the accuracy of any of the information or the content of any material that is found in the library.